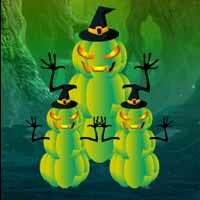 In this Halloween escape game, you are trapped inside this fantasy Halloween forest. You have to find the way to escape from this Halloween forest. Good Luck!